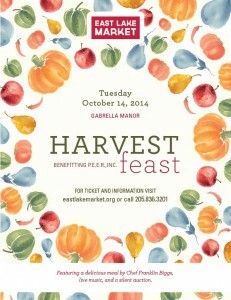 Save the Date for Harvest Feast 2014! It’s that time of year when we gather family and friends around the table to celebrate fall. 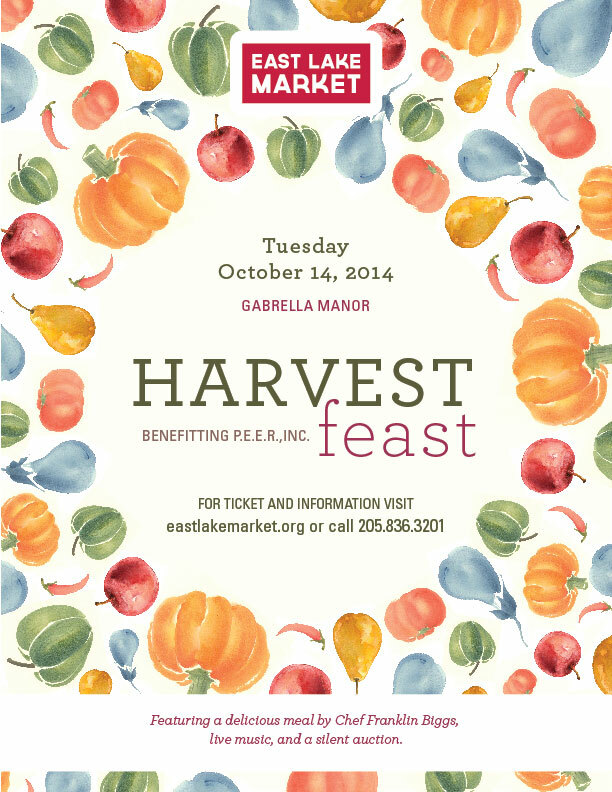 Join us for our Harvest Feast at Gabrella Manor on Tuesday evening, October 14th. We’ll have live music, silent auction, and an amazing meal prepared by our friend Chef Franklin Biggs. Tickets are $50 or $375 for a table of eight. $55/$400 at the door. Proceeds and additional donations benefit East Lake Market programs.